HAPPY NEW YEAR EVERYONE!! May it be full of happiness, prosperity, and love! 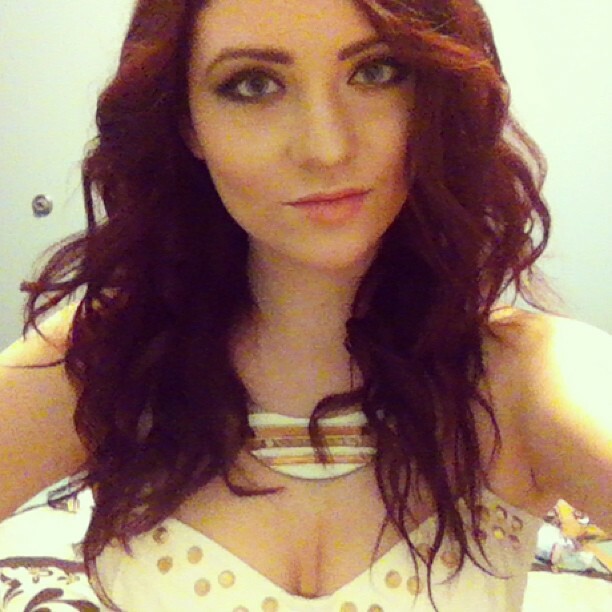 This is me before I went to shoot at NYE party. It’s an Egyptian theme so I looked kind of like I was going to a white party. White + Gold. Yeah 🙂 Anyway. IF you do make new years resolutions, you may be saying you want to get healthier in the new year. Or you simply want to get back on track after the overly indulgent December. I know I am. Jeez, December was not a good month for me in terms of staying on track with my healthy exercise and eating habits. I enjoyed it but it definitely derailed my efforts quite considerably. It’s not about a strict diet; it’s about freedom. It’s not about a burdensome workout; it’s about exciting “me” time. It’s not about looking good for a reunion; it’s about feeling good for a lifetime. Her program includes weekly coaching calls, workout videos, a private Facebook group, all of her workout + food tips, her 30 Day Workbook, and more. 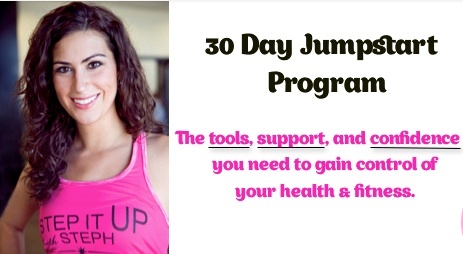 It truly sounds promising and I am excited to get started on this 30 day program. While I am not looking to lose any particular amount of weight (I don’t want to get back to being obsessive about numbers) I am going to go by how I look, how I feel, and how my fitness level increases. I will be doing this along with Tina’s Best Body Bootcamp which starts in the middle of the month. I think I will really benefit from Stephanie’s mental “bootcamp” and her coaching calls as well as having the support from other users on the Facebook group. Practicing the tips Stephanie provides in terms of eating and mental strength will compliment Tina’s workouts wonderfully, I think. Stephanie’s program starts on January 8th and costs $497 $197. It’s a great investment and you can sign up and read more about her program here. One of the most popular and successful tools in the program are Stephanie’s coaching calls. They are so successful and helpful to her clients, she has decided to giveaway one (1) coaching call to a lucky reader! And the cool thing is.. you don’t have to buy her program to qualify. So don’t worry if you can’t afford her program right now, you can still benefit from one of her coaching calls if you win! And leave a comment on this post with your twitter username or a link to the tweet! Alternately, you can also post this on your Facebook wall (publicly) making sure to tag Stephanie and Sensual Appeal in the post. Leave the link to the post on Facebook in the comments below. I will choose one winner on January 6th! I will email the winner and the winner has 24 hours to respond. The giveaway is valid anywhere in the world, except where prohibited. I was not compensated for this program. All opinions are my own. Great post. I think people need to focus on bettering themselves and not perfection. The white and gold worked. Happy New Years! Loved your outfit!! And excited to have you in the 30 Day Jumpstart Program! !